Note: Among John Boyne’s many prizes are the Hennessy Literary ‘Hall of Fame’ Award for his total body of work, three Irish Book Awards, the Orange Prize, and the British Book Award. “I was only a hundred pages [into my new novel] when I came to realize that it was more of a narcoleptic than a novel and quickly abandoned it. For a time, I feared that I was finished. The greatest writer of his generation, stalled for lack of an original thought. Really, I should have had more self-belief. If I’d learned nothing else since leaving Yorkshire at the end of the 1980s, it was that, like a proverbial cat, I had a habit of landing on my feet.” – Maurice Swift. 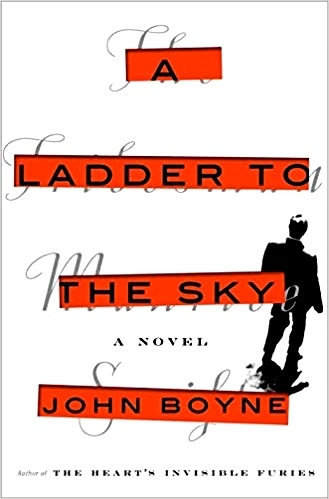 Irish author John Boyne creates several plot lines within a novel that is both gripping for its stories within the story and wildly satiric for its depictions of the writing life. As he reveals the life of author Maurice Swift from his young adulthood until his fifties, Boyne clearly relishes the opportunity to focus on the writing profession from a new point of view, one in which dreams can become nightmares, and no subject is barred. As he develops some of these nightmares, he mitigates the shock by writing with his tongue held so firmly in cheek that the reader is constantly aware of the satire and dark ironies involved. The result is a novel which, according to the reviews on Amazon and other public sites, appeals widely to the general population, to many critics, and to book prize committees, though it is controversial among a few critics, who have criticized its overly dramatized sentiments and its sometimes wandering plot lines. For me, Boyne shows the remarkable ability to control every aspect of the reader’s attitude toward main character Maurice Swift, an antihero and narcissist, and he does this naturally and efficiently by highlighting those qualities which make the reader want to identify on some level with this struggling writer, even while recognizing that he is a loathsome individual. 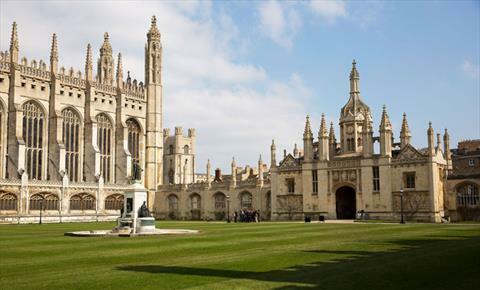 King’s College, Cambridge, where Erich Ackermann is a professor. Part I, “Before the Wall Came Down,” which takes place in 1988, introduces Erich Ackermann, the speaker of this section, a respected author in his sixties who is a professor at King’s College Cambridge. Invited to speak at a literary festival in Berlin, the city of his birth, Ackermann is attracted to a “very beautiful” young waiter, aged twenty-two, who also seems attracted to him. When Ackermann and the youth, Maurice Swift, meet outside the festival for coffee, Ackermann learns that the young man wants to be a writer. He is flattered and invites Maurice to travel with him for six months as his assistant. Soon “This twenty-two year-old boy made me long to reveal my secrets in the most self-destructive way imaginable. I wanted to confide in him and tell him my story.” Ackermann’s story of his teen years in Nazi Germany, which he has never confessed to anyone else, is slowly revealed to Maurice over the next six months. It is a complex story involving his first love as a seventeen-year-old youth coming to terms with the fact that he is gay while the person he loves is not, a story which can have no good outcome in Germany in 1939. Nor, unfortunately, does this story have anything other than a disastrous outcome for him in 1988, when Maurice Swift, his young protege, writes a novel informing the world about these horrific events, ruining Ackermann’s life. Author Gore Vidal, who lives in Ravello and is visited by Maurice. 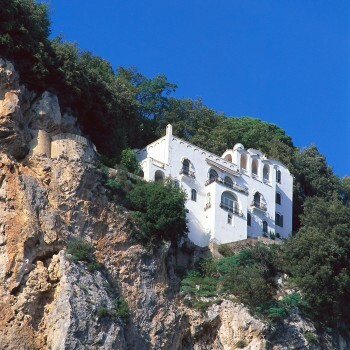 “Interlude: The Swallow’s Nest,” takes place a few years later, at La Rondinaia, the home of famed author Gore Vidal on the coast of Ravello, Italy. Vidal is almost sixty-five and is awaiting a visit from author Dash Hardy, a second-rate writer whom Erich Ackermann also met while on his book tour in 1988. Vidal regards Dash Hardy as a hack, but when Hardy arrives, he is not alone. 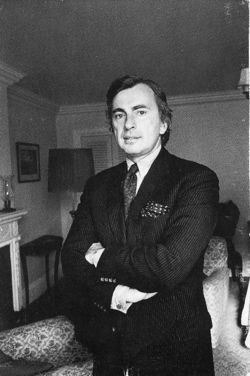 He is accompanied by a young man – Maurice Swift – who has just published a highly successful new book, and Hardy is hoping to secure Gore Vidal’s endorsement for it. When Vidal takes Maurice on a tour of his library, Maurice volunteers the fact that he prefers Vidal’s book, Myra Breckinridge, to Dash Hardy’s latest book. Vidal is not impressed – of course, his book is better. He recognizes immediately that Maurice is “playing” both him and Dash Hardy. La Rondinaia, home of Gore Vidal. Part II, ”The Tribesman,” told from the point of view of Edith Camberley, shows Maurice Swift in the autumn of 2000, when he is in his mid-thirties and married to Edith Camberley for five years. Ten years have passed since his book “Two Germans,” was published, and his two succeeding books have been failures, the most recent one having been rejected for publication because it was “utterly devoid of authenticity.” Edith, who first met Maurice when she asked him for an autograph, years ago, is a writing professor in Norwich, where she is working on her second novel and teaching short story writing. Maurice, now working on his fourth book, has hired an agent who has seen some chapters from this new book and declared that he believes it will win The Prize next year, something that makes Maurice decide to move to London, where the action is, so he can be there when his book comes out. Wanting to finish her own book first, Edith balks, infuriating Maurice. Then disaster strikes, and Maurice gets his way – as he does once again in the next section, when he feels threatened yet again. 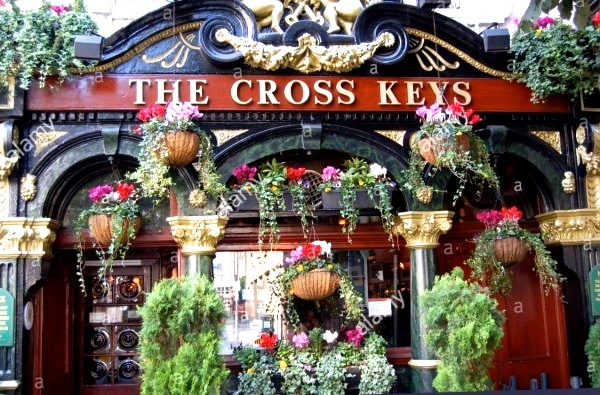 Cross Keys Pub in Covent Garden, one of the pubs where Maurice spends his time, maundering over the past. Part III takes place in a pub, with a speaker, obviously Maurice Swift, who sees himself as a “used-to-be writer, but now I’m a drunk.” Though he wants to write again, he cannot come up with a story, which he regards as ironic for “the greatest writer of his generation.” To avoid hanging out at the same bar all the time, he now goes to a different one each day of the week. Then he receives a letter from Theo Field a student at the University of London, who plans to make Maurice the subject of his academic dissertation and wants to meet him. Soon Maurice reverts to form, telling Theo details his about his life, as he claims to be working on a new book. His relationship with Theo eventually leads to the dramatic conclusion of the book as Maurice finally runs up against someone who can match him step by deliberate step – and, perhaps, win. Author John Boyne’s skill at highlighting each of the novel’s many surprises and shocks, while also maintaining control of the different times, places, and connections, make this novel memorable and exciting to read. The novel’s “lessons” about the writing life, told with dark humor and irony, will leave a smile on the faces of most readers, in part because Maurice is so loathsome. Always convinced that he is not to blame no matter how ghastly his actions are, he is the consummate anti-hero, though he still has traits with which a reader cannot help but identify. His creator, author John Boyne, at forty-seven, has already published eleven successful novels for adults and six for younger readers, and obviously has no problems coming up with plenty of ideas for stories, though this novel, with its stories within stories within stories, will be hard to beat.